One company that offers ferry services from Genoa is Consorzio Liguria Viamare . 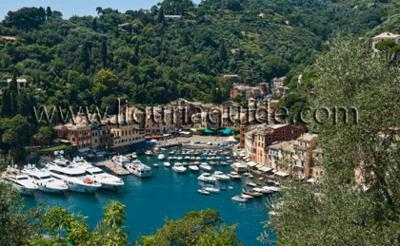 The company offers a wide range of boat tours along the Liguria coast. 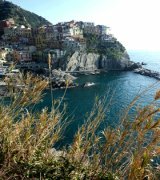 The tours can range from 1 hour along the Genoa coast to half a day of whale watching to a day trips to San Fruttuoso/ Portofino or the charming villages of the Cinque Terre. You can find more details on their website. If you get to the Tigullio Gulf itself, the main ferry company that services this area is Consorzio Servizio Maritimo del Tigullio which offers rides among the different towns along the Tigullio and Paradiso Gulfs - Camogli, Portofino, Santa Margherita Ligure, Rapallo, Sestri Levante etc as well as tours to Portovenere and the Cinque Terre.